WASHINGTON — Amid warning signs that his re-election campaign is in jeopardy, Texas Republican Sen. Ted Cruz warned that Democrats want to turn the Lone Star state into another liberal haven like California, "right down to tofu and silicon and dyed hair." Cruz made the comment as he outlined the stakes in the midterm election at a rally in Katy, Texas, on Saturday. He told the crowd of supporters that "we've got a real fight on our hands" in his unexpectedly tight race against Democratic Rep. Beto O'Rourke. "The extreme left, they're angry, they're energized and they hate the president. And I got to tell you, that's dangerous," Cruz said. "That level of fury and rage, we underestimate that at our peril." 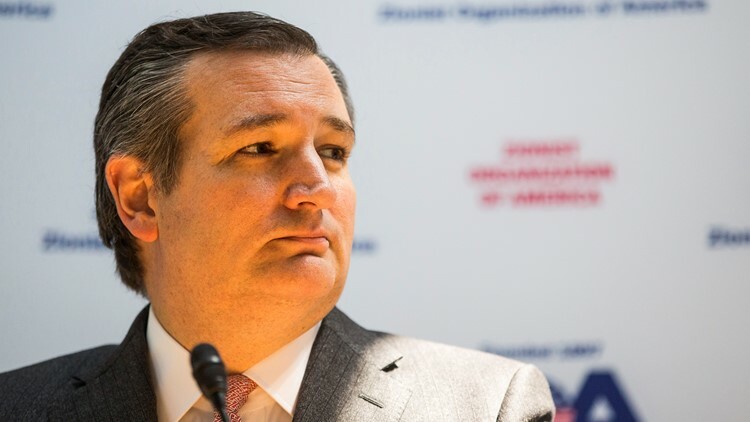 Cruz also sought to stir up resentment over the fundraising totals for O'Rourke, who has been strongly outpacing Cruz in campaign contributions. The incumbent cast those donations as the effort of liberals from outside of Texas to try and change the fiercely independent state. "We are seeing tens of millions of dollars flooding into the state of Texas from liberals all over the country who desperately want to turn the state of Texas blue," he said. "They want us to be just like California, right down to tofu and silicon and dyed hair." Cruz admitted that he married a "California vegetarian," but said he "brought her to the great state of Texas." The New York Times reported Saturday that Mick Mulvaney, President Donald Trump's budget director, told a group of Republican party officials that a Cruz loss was a "possibility" because he was not a "likable" candidate. "I don’t worry about what some political guy in Washington says," the Times quoted Cruz saying in response to Mulvaney. "I worry about what the people of Texas say." Rick Tyler, who worked as Cruz's communications director on his 2016 presidential run, said Sunday that he also believes it is "possible" that Cruz could lose, despite Texas being a deep red state. “It’s possible," Tyler said on MSNBC. "Beto O’Rourke has consistently out-fundraised him two-to-one, and he doesn’t take PAC money." He added that Cruz should be 10 to 15 points ahead but instead, polls show the race in a virtual tie. "We’re not bluffing, this is real, and it is a serious threat," Cornyn said. "If Ted does his job and we do ours, I think we’ll be fine. But if we have donors sitting on the sidelines thinking that, 'Well, this isn’t all that serious,' or 'I don’t need to be concerned,' then that’s a problem."